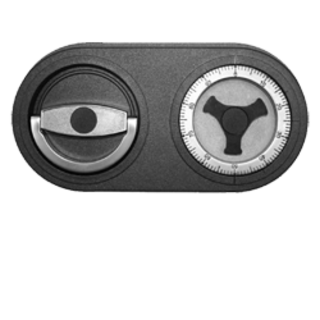 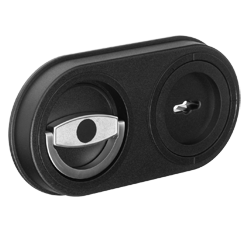 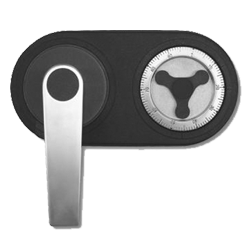 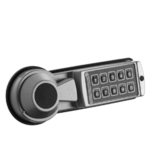 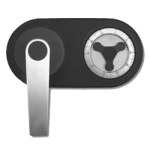 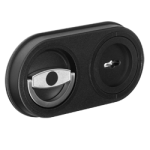 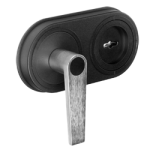 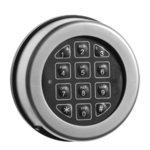 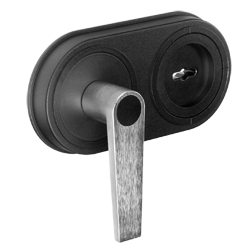 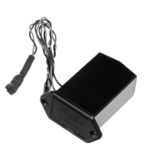 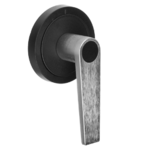 The EuroLine compact serie is a combination of black ABS housing with dial or key hole with optional a metal pull handle or handle to open. 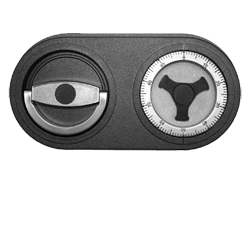 The dial is fitted with an 6 mm round spindle or square spindle in combination with the lock and an 8 x 8 mm square shaft to drive a boltwork. 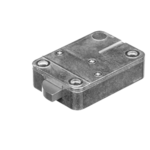 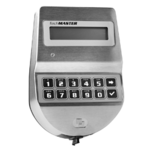 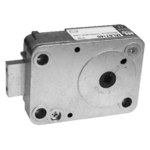 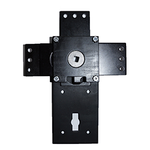 The different variants have an 6 x 6 mm square spindle for the usage with lock ML6740 and 6 mm round spindle for the usage with lock ML6785.